A spokesman for Gov. 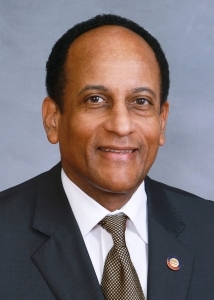 Roy Cooper announced late Wednesday that Larry Hall will attend a Senate confirmation hearing Thursday morning. It’s unclear if the three-judge panel Cooper’s attorneys asked to quash the subpoena just didn’t respond to the motion or if they issued a memorandum telling the parties involved that the would not prevent Hall from attending the meeting. Cooper’s attorneys also asked that if the court didn’t quash the subpoena, it modify the date that Hall would be commanded to attend a hearing until after the trial. Cooper is suing Berger and House Speaker Tim Moore over the constitutionality of Senate confirmation hearings, which they enacted during a special session in December. The three-judge panel that will decide the case recently found that Cooper is to initiate the Senate’s advice and consent process by formally notifying the body’s president of his appointees. He has until May 15 to do so. The panel did not, however, grant Cooper’s request for a preliminary injunction to stop the hearings. Cooper’s office has said that he has formally notified the Senate of his appointees and that he doesn’t plan to until after the March 7 trial. He contends that the confirmation hearings until then are not legal. The Senate has argued that Cooper made his appointments official by sending out press releases and having them serve in their positions — even though the law allows them to serve in the interim. Thursday’s will be the fourth scheduled Senate confirmation hearing for Hall. He is expected to answer questions about his experience, and the Senate will judge him on three criteria: that he doesn’t have any conflicts of interest, is qualified for the job and will uphold the law.